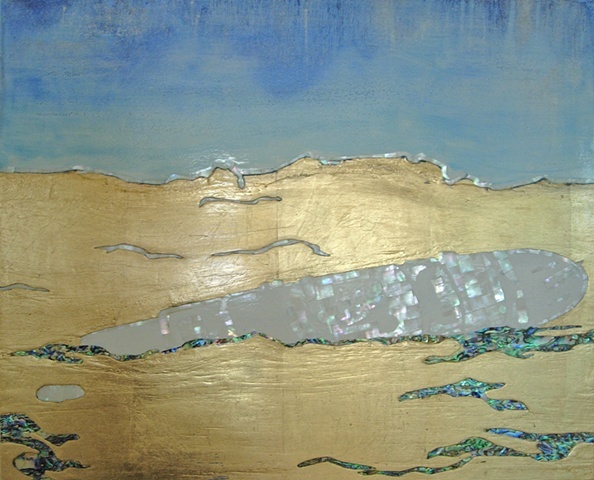 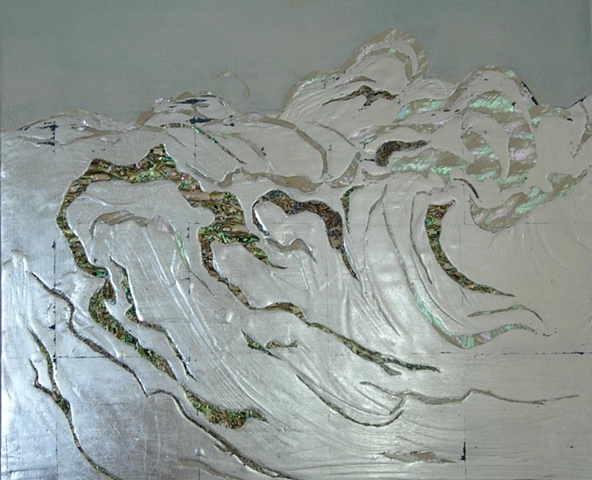 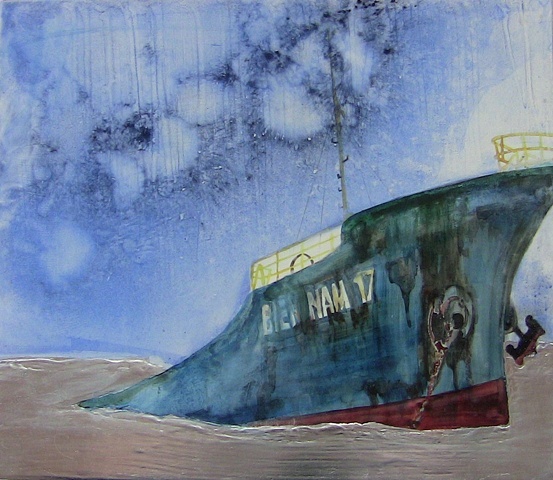 In 2012 I followed and documented international shipwrecks in inlaid mother of pearl, silver/gold leaf and watercolor. 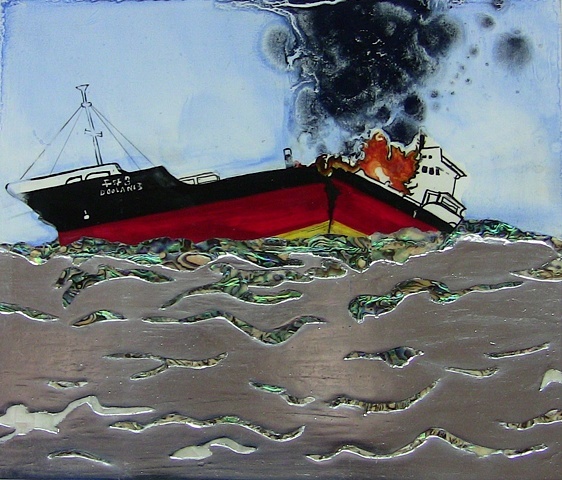 At the time the world’s economy was very turbulent and financial organizations and stock markets seemed like sinking ships. 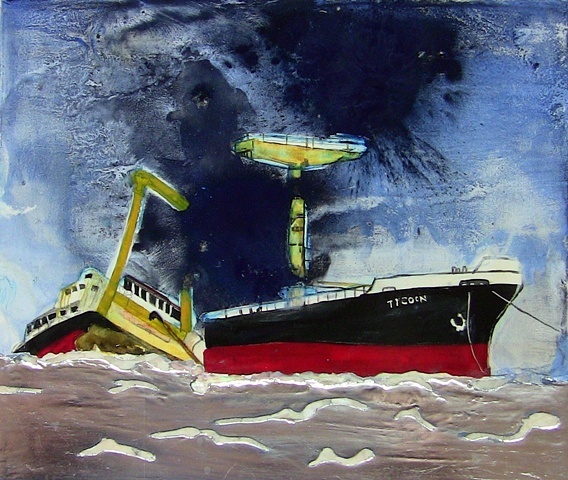 Every other day I would comb the news and internet for details and photo documentation of recent shipwrecks.